Technology advances at a very fast pace, so accelerated that it is very likely that within three years you do not need to use tactile gestures on the screen to access your social networks, chat with your friends and surf the web. 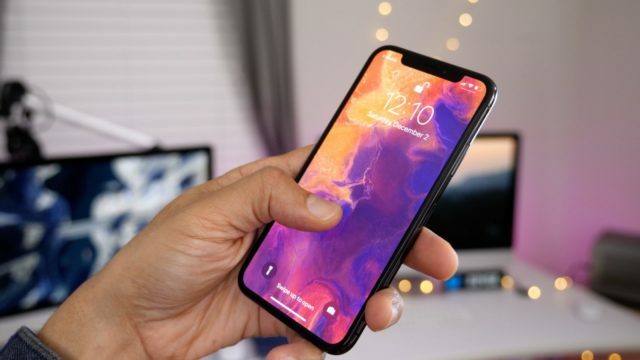 Mark Gurman, popularly known for his reliable leaks on Apple , recently published that Apple is working on new models of iPhone that will incorporate "controls without gestures touch" and curved screens . This strategy by Apple would allow the company to differentiate itself from the rest of the products that saturate the smartphone market. How would the iPhone work without touch gestures? 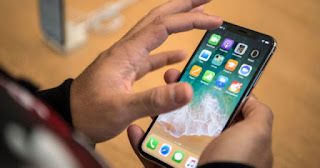 According to some people who are aware of Apple's plans, the controls without touch gestures would be described as a system that would allow users to navigate the iOS user interface "moving your finger close to the screen but without keeping in touch with it" . This technology could be ready to be used within two or three years, as long as Apple decides to move forward with the development of this curved screen iPhone. It might seem a little surprising functionality, or maybe it is not very useful. But nothing is further from reality, this is the small step that requires that smartphones continue to evolve towards a future without limits. The technology would work thanks to small motion sensors integrated under the glass that protects the screen and next to the side bezels of the terminal . Mark Gurman wanted to compare this system without tactile gestures to Samsung's Air Gestures on Android and Google's Soli Project. "The company has future plans to expand OLED technology to other devices." We recently discovered that Apple will develop its own MicroLED screens with TSMC. On the other hand, LG Display has become part of the OLED panel supply chain. But who will be in charge of manufacturing curved screens for the iPhone in three years?